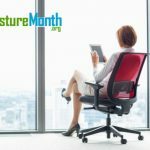 Excessive sitting is now recognized as a true health hazard, and currently the average person sits 13 hours a day. 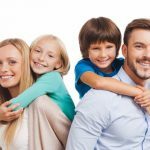 [i] That’s an average – so while some are sitting a bit less, some are sitting much more! 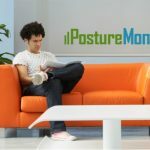 Sitting is a fact of life in today’s tech society, and research currently underway is asking “How much sitting is safe?”. The best evidence suggests sitting less and changing positions, which is why sit-to-stand variable height desks are becoming popular. 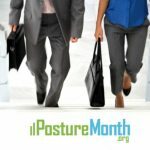 Standing desks let you go from working seated to working standing by moving your workstation up and down easily throughout the day. 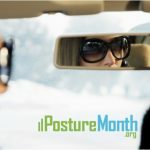 It’s smart to consider out of the box ideas for your posture environment to find what’s really right for you. If it comes with having a bit a fun, that’s even better. Sitting on a ball requires using muscles to balance and control your body. 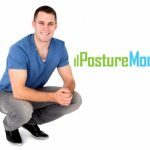 When first getting used to sitting on a ball, it’s important to focus on PostureZone® alignment, keeping your head aligned over your upper body and hips. 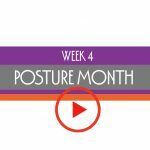 This trains deep core muscles to stabilize posture in a more vertical muscle pattern. 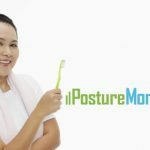 As muscles strengthen, you’ll find it takes less energy to maintain good posture. 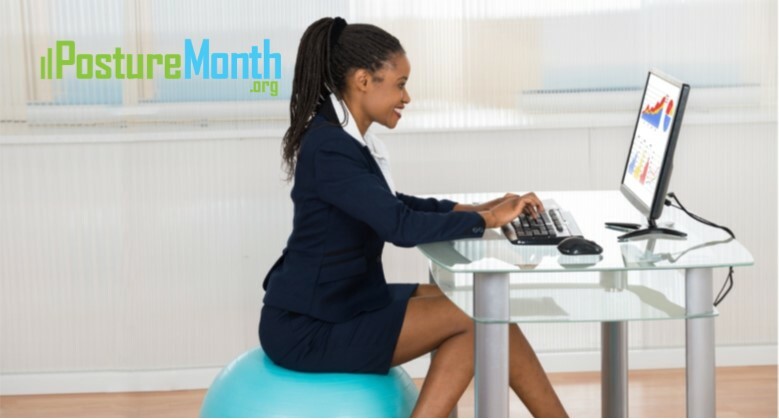 Get a large, anti-burst exercise ball and use it as your office chair for a few minutes to a few hours a day. Start for short periods, and extend the amount of time you sit on the ball as you become more comfortable. 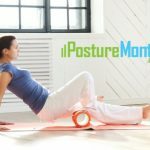 Ball sitting helps strengthen the deep core muscles you want to reflexively use to sit strong, plus it’s also a great tool for taking a sitting Posture Break.